What’s an Ignatz? 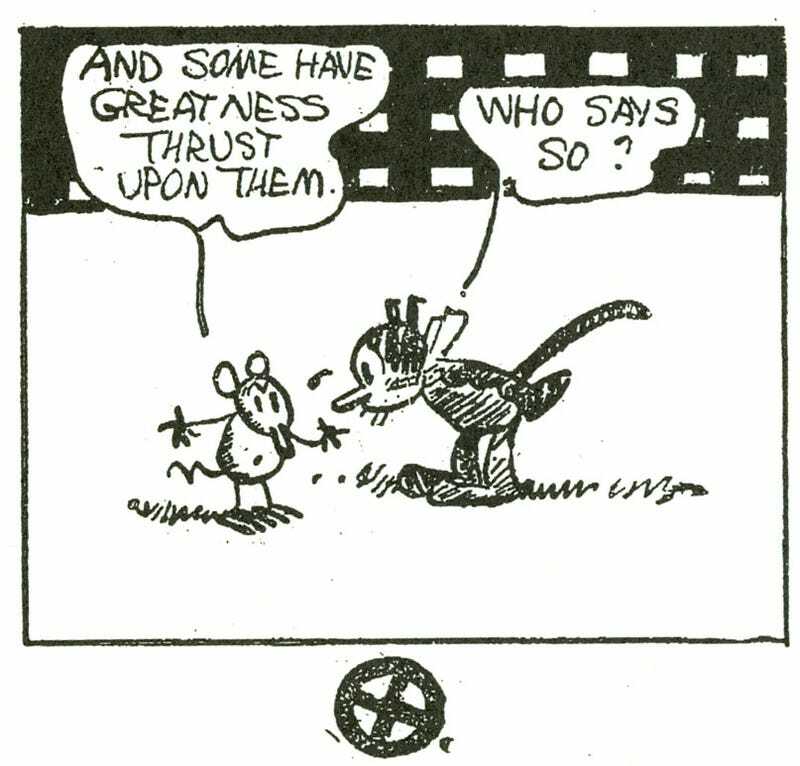 Ignatz is a mouse. But an Ignatz is also an award, the brainchild of SPX & Ed Brubaker, an Eisner Award for independent small press comics. And this year, every single Ignatz Award went to a female creator. Congratulations to all the winners and nominees this year. Coincidentally, women also took home a “huge percentage” of this year’s Einser Awards. Ladies, the system is no longer standing in your way to make it to the top in comics. Unless you’re a part of the Marvel Cinematic Universe. Then you get replaced by Captain America. But everywhere else, Ewige Blumenkraft!